Although Wadi Rum is best known for its trademark UNESCO draw cards of its natural beauty with unique sandstone cliff formations scattered through its barren desert landscapes and its cultural significance with its old world petroglyphs, location on the fringes of many of the worlds greatest empires and a hub of Bedouin culture. Many guests highlight of their visit is of the experience when the stars show their beauty over Arabian Nights camp. 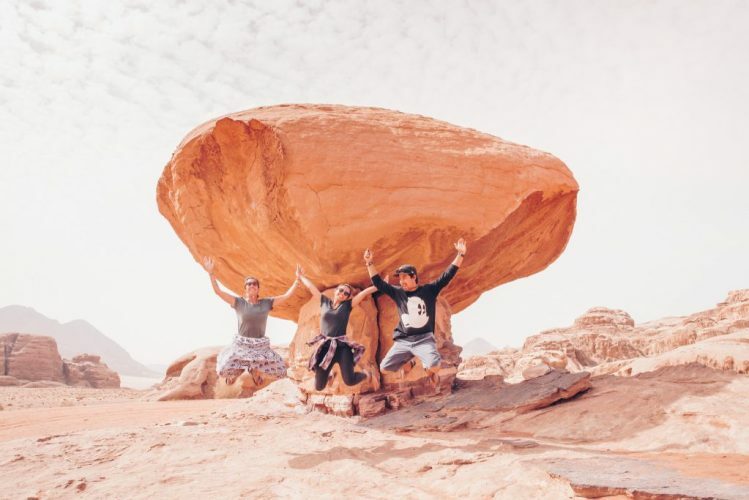 Wadi Rum is elevated at 1,000 metres with clear nights skies majority of the year, as such it combines to provide visibility for one of the best stargazing experiences in the world. By night you get a clear view of the Milky Way streaking across the sky, and will recognise satellites passing overhead, shooting stars and volumes of stars paralleled only in the Atacama Desert. We will help you recognise planets and constellations and provide you with some different significances of stars from their relevance in the Arab world. The stars can be appreciated within our camp with no light pollution and various comfortable viewing locations, guests are free to move around the camp during their stay so can take the opportunity to patiently absorb the performance taking place overhead at any time of their convenience. Stargazing at Arabian Nights is so memorable it is number 2 on our best things to do in Wadi Rum List! We offer opportunities for guests to sleep around a campfire in isolated areas of the Protected Area. This is incorporated into some multi-day activities but also available to guests as a stand alone experience. Whether you have limited experience camping in remote locations or you are fanatical about it, this is an amazing experience. 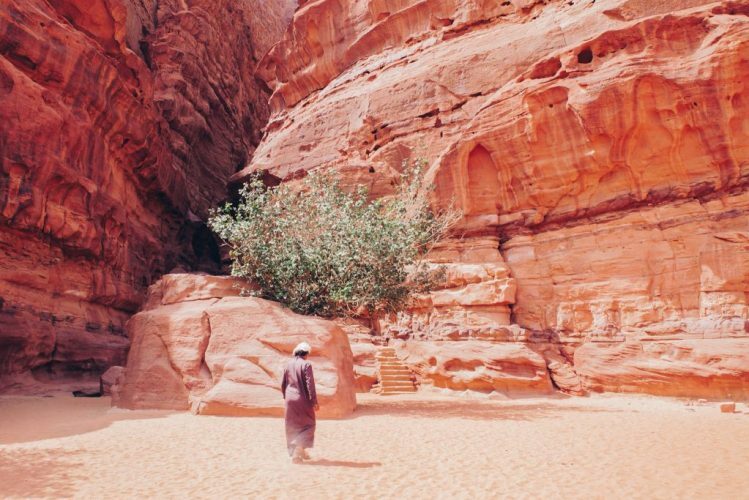 The Wadi Rum Protected Area has a number of cave dwellings scattered throughout and your guide will take you to an appropriate location dependent on weather, time of year and wind direction. We will provide you with all the equipment you require for a comfortable nights sleep and your guide will cook you dinner over a campfire. This is a trully memorable experience you can share with your Bedouin guide and hear stories and search for shooting stars are you fall asleep.